If you’re still on the fence about SOE Live, or just haven’t made all your arrangements yet, have you considered making a short video about your preparations for the event? SOE Live is just around the corner. What are you looking forward to? How are you preparing for it? How do you spend your time once you’re there? Whether you’re a first-time attendee or a seasoned veteran, share your best conference “survival tips” in a short video, and you may be chosen to win a trip to SOE Live! Come up with an original idea for a video about how you plan to prepare for or participate at SOE Live. This can be in-game, out-of-game, or a combination. You can make it funny or serious — whatever you want it to be! Just make it your own, and make it stand out! 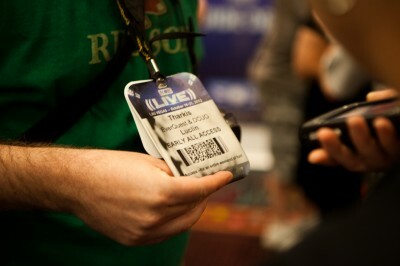 If you’ve never attended SOE Live, you can still participate! Your video can also focus on general travel or convention attendance tips. Create a 30-second video showcasing your “Survival Tips” for SOE Live. Read more about this Video Contest. Alas, I’d make such a video but it would consist of searching the house for all my camera batteries, chargers, cables, accessories, etc. I am really wanting to attend this year, been wanting to for a few years but I can’t get my non-gamer girlfriend to say yes.. Not sure what there is for her to do while I nerd out.